Exhilarating déjà vu of past sensations. The four base fragrances convey that stimulating and comforting ambiance of pleasures to come. 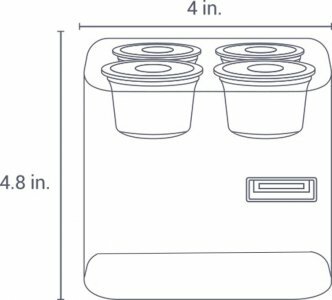 Provides a warm and comforting feeling of being at home. Feels like spicy dishes, pie and cookies and a nice drink with your darling. What a treat! Strong aromas of raw essential oils. More for seekers of adventures or meditation. Powerful and focusing. A floral harmony of Turkish Rose and Chinese Jasmin Sambac, supported by sensuous Musk and Sandalwood. Energizing, fresh and dream-like balance between four of nature’s finest scents. Mix them up any way you’d like to create the natural scene you prefer at any given time. 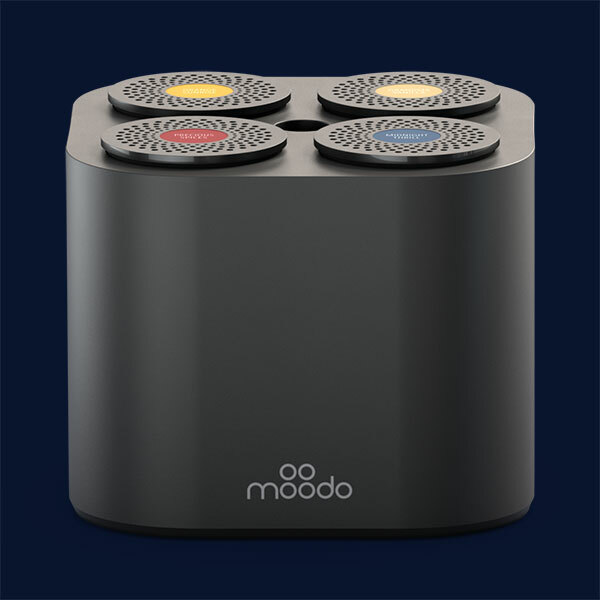 Moodo® is a new smart home scent machine that allows users to mix and create thousands of your own signature scents. 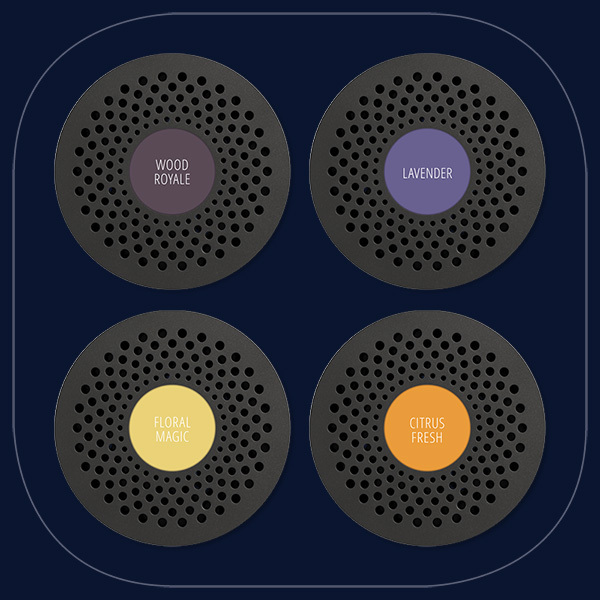 Pick from our variety of “Scent Families”, each containing a different set of four scent capsules, and personalizes the fragrance that Moodo creates by changing the mix of these four base scents in real-time. 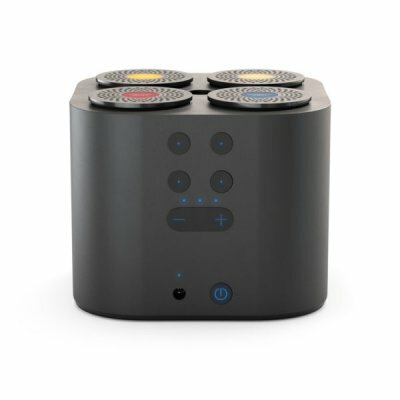 The contribution of each of the four base scents to the overall fragrance can be adjusted via a companion smartphone app, Amazon Alexa or manually on the device. 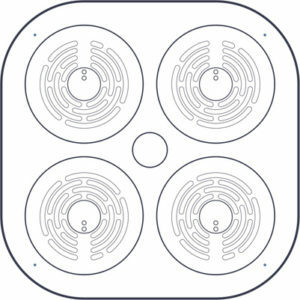 Fragrance capsules are grouped in harmonized Scent Families, to ensure a pleasant fragrance in any mixing option. Copyright © 2018 , Agan Aroma. All rights reserved. 2018 © Copyrights Kingsbarns (PTY) Ltd.